One of my favorite aural artists of all-time, Eluvium (Matthew Cooper) is set to release his next studio effort False Readings On on September 2 via Temporary Residence Ltd. The album will be available on CD, black vinyl, light gray vinyl, and digitally. You can stream Fugue State and Regenerative Being below as well as peep the full track listing. False Readings On is a fantastic follow-up to his epic 2013 masterpiece Nightmare Ending and a perfect amalgamation of the sonic themes he has created throughout his previous seven studio releases. The resulting product is a satisfying blend of swelling and receding ambience, pattern-oriented melodies, piano flourishes, and spare vocal interventions. A track like “Fugue State,” which you can hear below, sort of reimagines a Philip Glass sonic repetition motif set against the backdrop of large church organ sounds and a dissonant, almost strained operatic female vocal accompaniment. The result is both sparse and dense, beautiful and kind of scary. “Regenerative Being,” which you can also hear below, hangs onto that strained operatic female vocal motif but lays it against a much more sparse piano and strings motif, with a result that is anthemic, melancholy, enveloping, and utterly forlorn. Another track, “Washer Logistics” (which I wish you could hear now) takes a more aggressive tact quite similar to what you’d hear in Eluvium’s epic, one-track, 50-minute 2010 masterpiece Static Nocturne (which you can hear below); a beautiful, circular melody competing with an aggressive, swelling wall of static. 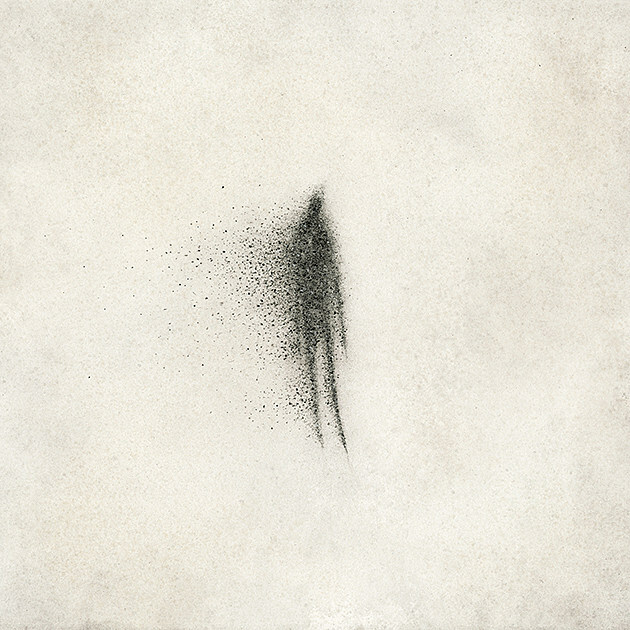 And that’s just three tracks; as a whole False Readings On feels like Eluvium has learned much from his own career, boxed up its finer elements, and brought them into the next phase of his faultless discography. The result is a staggering and emotionally connected listening experience that, for me, took me someplace else.